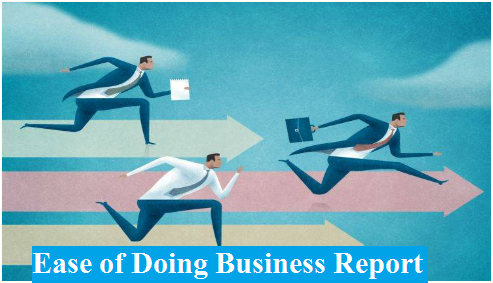 The document released on Ease of Doing Business report on August 28, 2017 in New Delhi is based on an Enterprise Survey, conducted jointly with the IDFC Institute. The report itself states that it is meant to be a research document and its contents do not represent the views of the Government of India or NITI Aayog. The survey was conducted between April 2015 and April 2016 and does not reflect any changes in the ease of doing business since then. In recent years, there has been tremendous progress in easing various processes related to doing business. This has been verified by the World Bank. It is important to note that the enterprise responses are based on their past experiences and perceptions on doing business, dating as far back as 10 years or more. Reforms such as single window clearance systems would not be applicable to many firms covered in the survey. The survey only takes inputs from firms in the formal manufacturing sector. It does not cover unorganized manufacturing and the services sectors that constitute the vast majority in India. Further, it is important to note that the methodology of the present Enterprise Survey differs from that of the World Bank’s Doing Business Survey in the following ways. The World Bank interviews industry leaders while this survey interviews firms along with some experts in large states. The World Bank Survey focuses on Delhi and Mumbai while this survey covers almost all states and Union Territories in India. While the World Bank survey has a standardized survey across 190 countries, this survey is a non-standardized survey only for India. The present survey is meant to be qualitative. It does not rank states in the ease of doing business. Its objective is to provide information for states on their business environment. The survey finds that firms in many states take considerably less time in obtaining approvals than reported by the World Bank data. On average, firms reported taking far less time in getting construction permits. In some states such as Madhya Pradesh and Bihar, getting a construction permit takes even fewer days. Similarly, on average, it took enterprises about half the time to resolve legal disputes as was reported in the World Bank Survey. The survey indicates that the government’s efforts to improve business environment are showing results on the ground. The experiences of start-ups, or enterprises started during or after 2014, suggest a significant improvement in doing business over time. Newer and younger firms take less time in obtaining approvals, highlighting a favorable business environment. Young firms report that most regulatory processes do not constitute a major obstacle to their doing business. The survey also captures competitive federalism among states in improving the ease of doing business. Enterprises in high-growth states are significantly less likely to report major or very severe obstacles in land and construction related approvals, environmental approvals and water and sanitation availability as compared to enterprises located in low-growth states. Enterprises in high-growth states also report taking less time on average for nearly all aspects of doing business. The specific areas where high-growth states do very well are in getting construction permits, labor renewals, and access to electricity and water connections. Overall, the NITI Aayog-IDFC Institute Ease of Doing Business report shows that many of the actual experiences of enterprises are better than expert perceptions reported in past surveys. The survey finds that firms in many states take considerably less time in obtaining approvals than reported by the World Bank data and indicates that the government’s efforts to improve business environment are showing results on the ground.